Torrent software programs are the best way to make sure that the users get the best and the state of the art downloading facility when it comes to the torrent, i.e. the large files. To make your download simple, it would be very important to get an ideal program that can be used whenever you need to get in line with your requirement. This tutorial is all about the torrent download software programs and the overall problem that could be resolved with the use of such programs in this regard. Following are the top 5 programs for your computer that you can install to make sure that the torrent downloads is not an issue at all. uTorrent is a lightweight torrent software which won't hog your valuable system resources. Meanwhile, it's ultra-fast to download your target files without slowing down your other online activies. With its advanced settings, you're very convenient to download latest videos, music to your computer. It is used by millions of users worldwide which is worthy of trust. Quick downloads with automatic bandwidth management. Supports multiple platforms, including Windows, Mac, Linux, Mobile and Remote. For free version, there would be some ads; only paid version is ad-free. Many good features, like protection from viruses, convert downloads to play on any device are only available in paid version. Free for basic version, and $ 4.95/year for ad-free version, $ 19.95/year for pro version. Developed in the year 2003, Vuze has been dedicated to optimzing the user experience of the torrent download all the time. With its featured Vuze Meta Search, you could find the most comprehensive entertainment and other content quickly without visiting each torrent one by one. What's more, it provides the subscription service which can intelligently recommend your favorite content. Find torrents in one click, and many resources would be searched easily. The overall download speed is great. The program sometimes goes to not responding due to the flash is used in its development. Free version as well as $ 29.9 paid version. Deluge, as a freeware, is a fully-featured cross-platform BitTorrent client. It owns mulitple plugins which make you download torrent more conveniently. With its own forum, you can submit your questions and suggestions there. The interface sometimes stuck which is the only con in this regard. Tixati is a new and powerful free torrent software program, without .java or .net, the installation is easy and quick. Specially, it can support DHT, PEX, and Magnet Link. Also, it owns some advanced features, such as RSS, IP Filtering, Event Scheduler. It is 100% free and contains NO Spyware and NO Ads. UDP Peer Connections and NAT router hole-punching. The program is not pen source which is the only disadvantage in this regard. The qBittorrent torrent software aims to provide a rree software alternative to µTorrent. Additionally, qBittorrent runs and provides the similar features on the major platforms (Windows, Mac OS X, Linux, OS/2, FreeBSD). So if you're find a completely free solution for torrent download, then qBittorrent is the right one. The program is very easy to use and manage. 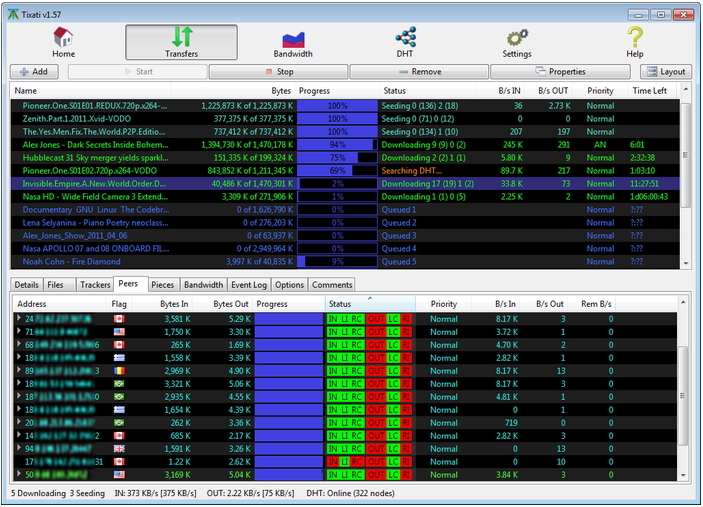 Advanced control over torrent trackers. The overall use of the program is not easy for a novice user and help is needed in this regard. If you would like to watch your movies on your phone, following are the top three torrent apps that could be used for Andriod to get your videos. 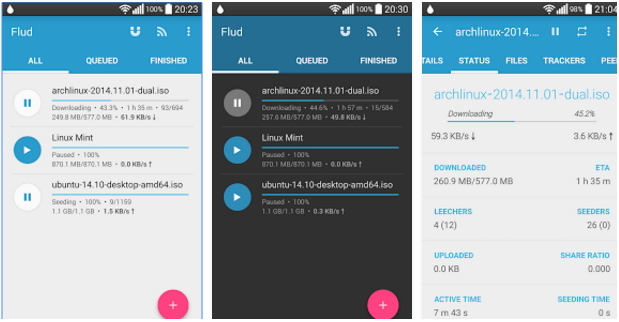 Flud is a simple and beautiful BitTorrent client for Android devices. The power of BitTorrent protocol is now in the palm of your hands. You're enabled to share easily from your Android phone or tablet. Meanwhild, downloading files directly to your phone/tablet becomes a piece of cake with Flud. Free, with the paid ad-free version $ 1.5. No speed limits on downloads/uploads. Flud uses Holo UI, so everything runs smoothly and looks great. Encryption, IP filtering, and proxy support. The speed of the download is compromised at times. 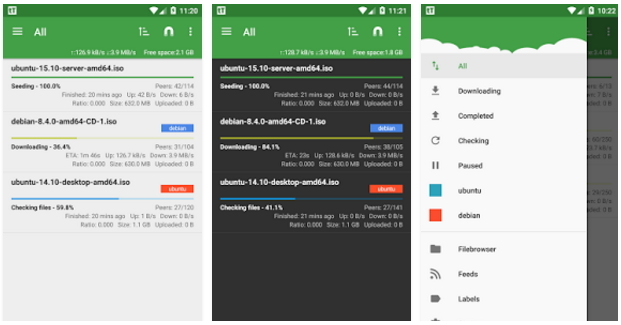 aTorrent is a torrent downloader app for Android that makes you download torrent files quickly and easily. This app features Magnet Link support, partial download, torrent search box, open torrent from browser, add torrent from file, multiple downloads, large file support, WiFi downloads limit option, pause downloads and many more. The overall interface is supportive. The user can easily switch to this application without any issue. A novice user might find the application difficult to install and run. The speed is sometimes throttled by the built in seeding facility. tTorrent Lite is a freeware app for Android and is a Bit Torrent downloading client for your smartphone which is feature packed. Some of its features include multiple queuing, search for torrent files, ability to limit upload & download speeds, RSS support, IP filtering support and so on. The overall guidance of the torrent is provided by the developers. The torrent is very easy to operate. The application crashes at times to make you frustrated, it's not updated frequently. With the strict control of the copyrights, more and more torrent sites are not workable by now. If so, you can try to use a video downloader/recorder to get your videos directly. 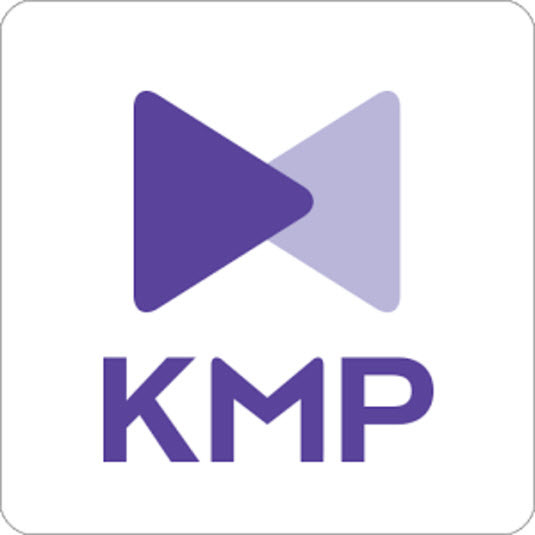 KeepVid Pro is a useful tool to download or record your videos.